Sky "devalued internal comms" by being "at the mercy of our stakeholders" - but a "radical reinvention" of the intranet with a focus on gamification and simplified messages, plus other changes, have delivered record staff engagement rates. 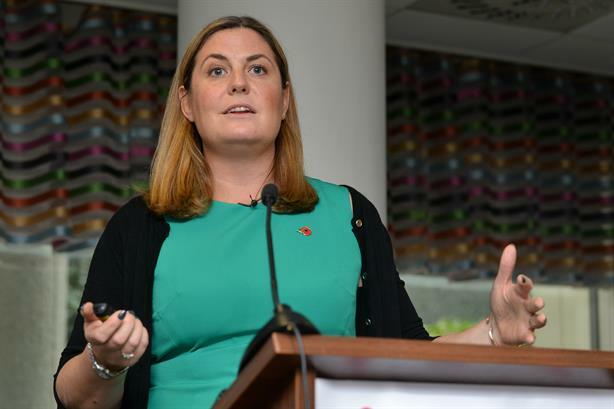 That's according to Sky's head of internal comms Jessica Latimer, speaking at PRWeek's Strategic Internal Communications conference on Tuesday. She said the intranet, called Today at Sky, was "a great site" until "all our stakeholders wanted a piece of the action". "It got to the point where one day you would have a story about an engineer who’d saved an old lady’s cat up a tree, you’d have Sky Mobile launching a new iPhone handset, you’d have what’s on the cinema… you’d have all these different messages bombarding employees." Focus groups last summer found "people were missing the key messages", she added. "We’d become too broad, way too complicated for people, and essential we’d devalued internal comms because we’d become too operational - [it was just about] who wanted us to publish their stories." Latimer said Sky initiated a "radical reinvention". "We just needed to rip up the rule book and start all over again," she stated. The need was heightened by uncertainty about a sale of the business, which was eventually sold to Comcast in September 2018. Given six weeks to make the changes, she said they "went back to basics" and would only allow content that related to Sky's five key business priorities. Each month would see a different theme for the intranet. For example, in January the focus was content. Latimer said that, despite reservations, there was a lot to cover. Items included pieces on innovation, such as virtual reality, and ‘behind the scenes’ videos on TV shows. "Instead of churning out all these really dull, news-related features, actually we are doing some really interesting, really creative features." Contributors would be asked to angle content around the themes. For example, "responsible business month" featured a piece on plastic reduction at Sky Mobile. Latimer said stakeholders "found they were getting more out of their features and better longevity with staff". Meanwhile, the "slightly boring" videos of executives talking to a camera were replaced with a series called "fast five", where they were only allowed to give five key facts in videos lasting under two minutes. There was also a focus on experiential activies; for example, a ‘secret cinema’-style event to promote the fact the Sky Cinema channel had started offering same-day releases. Another focus was ‘gamification’. Three games a week, carrying Sky’s key messages, were made available, with small prizes offered. These included a "virtual Tamagotchi customer-style game", where employees had to answer specific questions to keep their customer ‘alive’; and a ‘guess the channel game’ to publicise the number of Sky channels. "Gamification is definitely the way forward," said Latimer. "I think our staff would agree that they’ve really seen a huge difference and improvement and they really love the games we do." The changes have been accompanied by alterations to the workings of the internal comms team, with a "more agile approach" that sees different ‘sprint’ teams given tasks for the week to deliver. Weekly feedback sessions, and opportunities for staff to showcase their progress, have been introduced. "It’s been a massively empowering thing for the team," said Latimer. "We collaborate so much more. We’re so much more productive now as a team." She said that when the intranet was relaunched in January, 69 per cent of staff viewed at least one story over a month. That figure has since risen to 83 per cent. In addition, staff engagement rates are up four points, reaching a new record.